This won’t immediately impact anyone outside of Los Angeles, but YouTube TV just pulled off a pretty major move in the sports TV world. They booked the exclusive TV rights to the new Los Angeles Football Club (LAFC) that’ll kick off their first MLS season in a couple of months. The details here include 18 LAFC matches on their own YouTube TV channel that are restricted to subscribers in and around LA. Many of the rest of the matches from LAFC will be played nationally on ESPN or Fox Sports, giving subscribers TV access to 30 of the club’s 34 matches. Subscribers in the LA area won’t pay extra for this new channel. Why is this a big deal, you ask? While it is mostly irrelevant for those not in LA, the bigger picture here is the fact that a pro sports team in the US has picked a streaming TV service for their TV deal, rather than your typical cable operator or local network. For example, my hometown Portland Trail Blazers have had a long-standing relationship with Comcast and what used to be Comcast Sportsnet NW (now NBC Sports NW). The problem with a deal like the one the Blazers have is the fact that if you aren’t a Comcast subscriber or don’t have access to it, it’s been tough to be able to watch Blazers games. A deal like this one with LAFC and YouTube TV makes access more readily available (because it’s streamed over an internet connection) and more affordable. 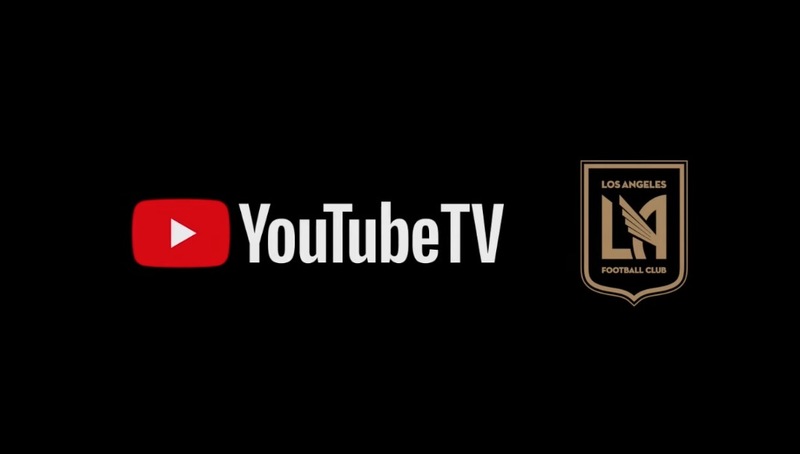 I think the ultimate rights setup would be for channels like this to be broadcast nationally, though the cost there might not be worth it for someone like YouTube, who also happens to now be the jersey sponsor for LAFC. But that’s the great thing about streaming TV – all you need is internet and you can access it. I’d be surprised if other teams don’t follow a similar path as this. UPDATE 3/15: YouTube TV has also locked in an exclusive deal with the Seattle Sounders. Fans who subscribe in the Seattle and Spokane areas will have access to a special Sounders FC channel that will show all 20 of their locally televised matches.